Are you a Savannah guru? Be heard and share your experiences by becoming an 912area.com Contributor. Learn More! Are you a local in the Savannah area? Join your community and Get Connected with others in your area. Join FREE! Memorial Day weekend is a time to honor those who died while serving in the U.S. armed forces. Many take the opportunity to relax and enjoy everything Savannah has to offer. There are always new and exciting things to do in the city, especially on Memorial Day weekend. These guys have tried to break the Guinness World Record for the largest bar crawl two years in a row with no avail. Maybe this year you can help them finally conquer it! On Saturday, May 26, join the most popular crawl in the South as you visit some of the best bars in Savannah and get a free t-shirt while you’re at it! Tickets are $15 if you buy them online and $20 if you buy them on the day of the event. The crawl also features an after party at Savannah Smiles where you'll get to take part in different contests and win some other cool accessories. Participants must meet up at Congress Street Social Club at 4 p.m., so don't be late! On Saturday, May 26, participate in this one-of-a-kind workshop that will teach you how to make exquisite creations out of silk and French dyes. Those involved will have the opportunity to make a scarf and a suncatcher while taking home the necessary knowledge to make their own accessories and continue perfecting their craft. The workshop will take place on the 2nd floor annex of Sulfur Studios at 2301 Bull Street and starts at 1 p.m. Standard registration is $69 and includes all the materials you’ll need during the event. Take a minute to honor those who sacrificed their lives for this country by attending the Memorial Day Weekend Service on Tybee Island. Gather with other locals at the Tybee Pier at 8:30 a.m. and commemorate our national heroes on this special day. Another great way to celebrate Memorial Day in Savannah is by teaching our kids about self-defense. The mini-camp will take place on Saturday, May 26 inside the Cobra Self Defense Savannah at 54 W. Montgomery Crossroads. Kids will learn the essentials of self-defense and how to be a more difficult target for those that would want to manipulate them. It’s an interactive activity, and parents are welcome to stay since it’s educational for them, too! The camp even has a sibling discount, and registration is available online. Celebrate Memorial Day with an incredible battle reenactment in Midway performed by experienced interpreters and veteran soldiers. Appreciate drills and stories from those that have been in the field as you enjoy a day out with your family. It’s a great way to enjoy the afternoon with friendly people as they honor those who fell under military service. 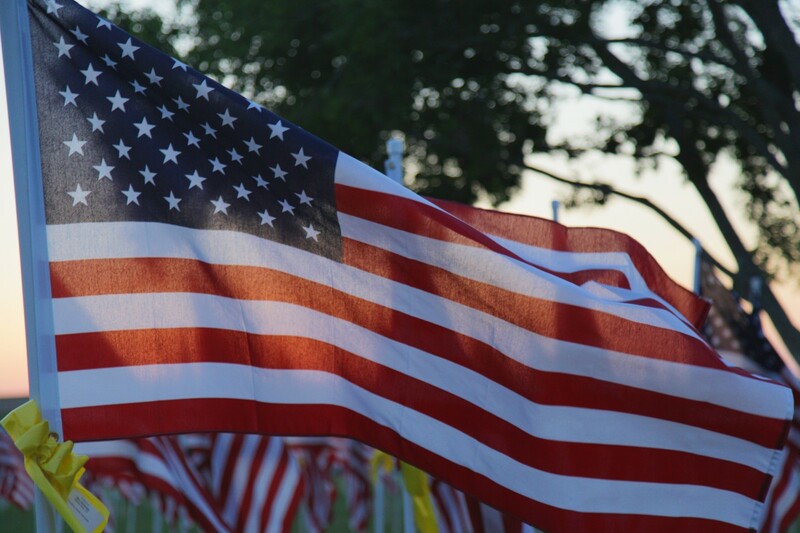 The special event will take place on Monday, May 28 at Fort Morris Historic Site from 11 a.m. to 3 p.m.
Memorial Day in Savannah is a time to reflect on everything the country has sacrificed to be where it is today, and where the country’s actions could take us in the near future. What are you going to do this Memorial Day weekend? Let us know in the comments below, and remember to register on 912area for your free guide to the best upcoming events in Savannah and more.